Elina Ruohonen’s current exhibition, Vallanjako, is a vision of a future with renewed power structures on this planet. The human race is no longer in charge; instead the plants and animals rule. Ruohonen’s works are about everything organic. 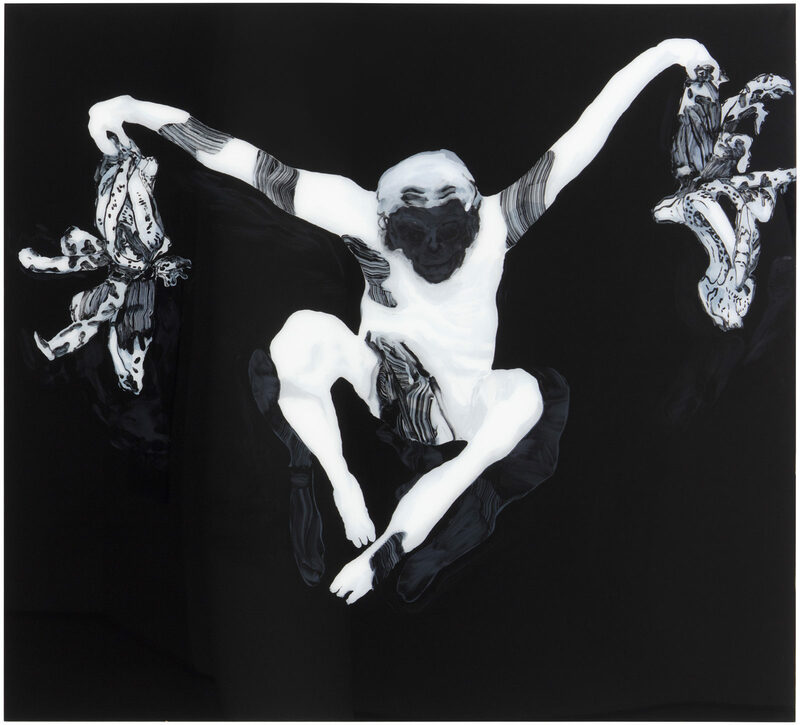 The exhibition is a plea for the living nature – a study of human and plant hybrids. Her focus has been on the versatile shapes of nature, and the possible mutations between different species. 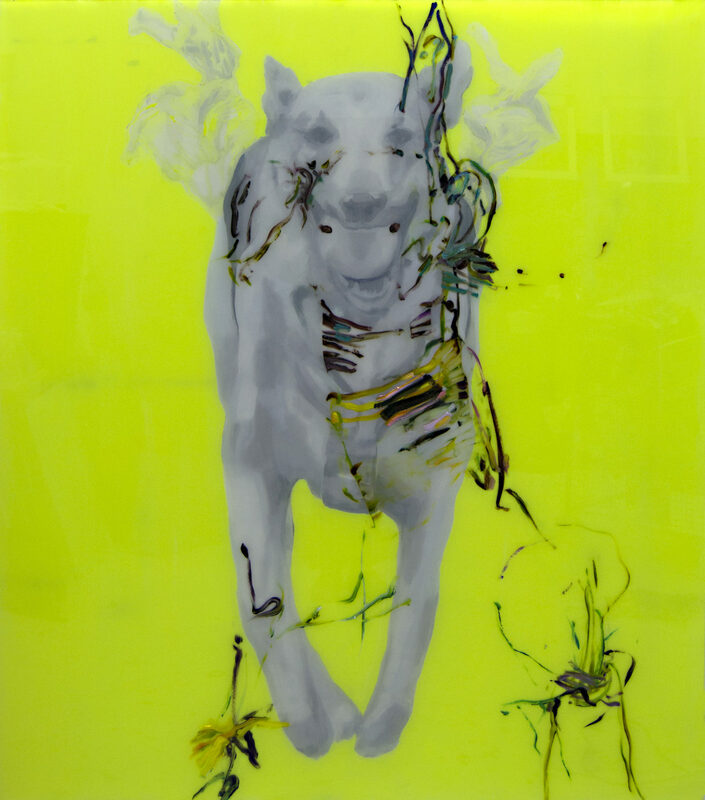 Elina Ruohonen, You got the ball, oil on plexiglass, 150 x 130 cm, 2016, Picture Jussi Tiainen. What mediums do you work with? How did you come up with the ‘reverse painting technique’? 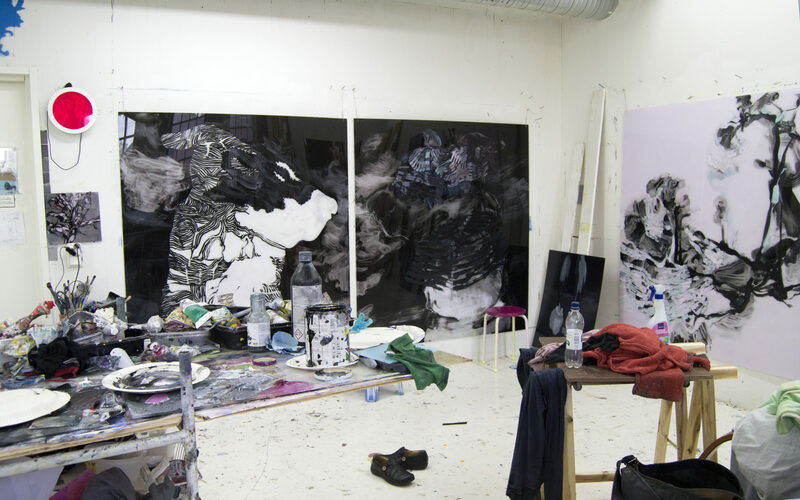 I mainly work with oil paint on a see-through plexiglass. 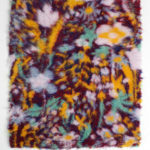 I discovered the method almost twenty years ago while working at the Tampere Art Museum. I was in charge of unpacking the arriving art works, which were protected with plexiglass. There were some pastel color stains on the glass and while I was washing the stains away, I realized that the colors blend beautifully on the smooth surface. I paint from the back of a clear plexiglass sheet so I must do so in reverse order because the fist layer of paint I apply will become the top one when the work is viewed. This method makes the result more surprising and leaves space for randomness. The reflectiveness of the surface gives the paintings a more three-dimensional effect. The painting becomes almost like a mirrored window to another world, so the exhibition viewers take part in the picture. The plexiglass surface also keeps the colors intense even when they have dried. 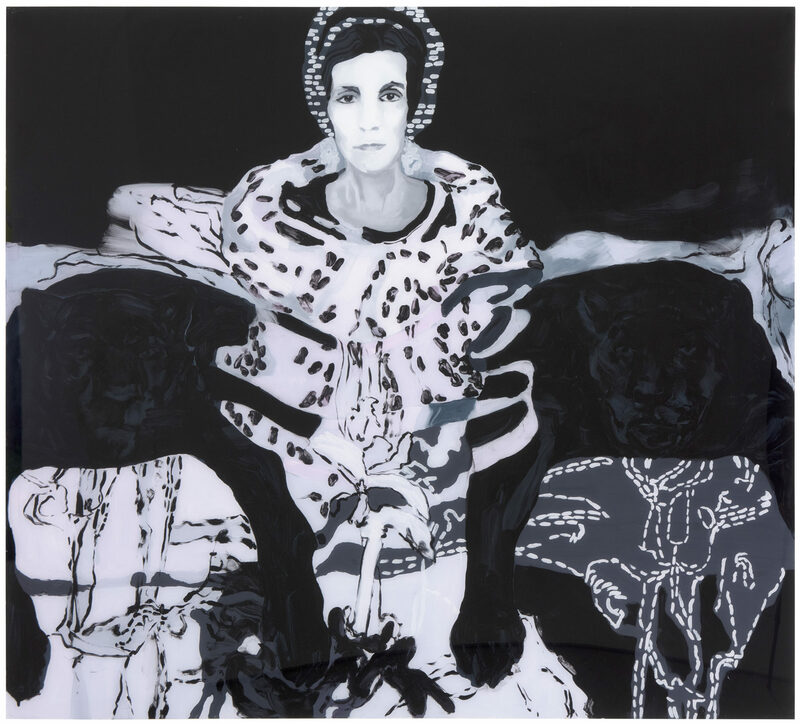 Elina Ruohonen, Liisa Ihmemaan katsomus ja kutsumus, öljy akryylilevylle, 100 x 145 cm, 2016. What inspires you? Can you tell us a little bit about the creative process? The act of painting is the force that drives me forward and gives me pleasure. The starting point of my creative process is often to concentrate on the brush strokes and plan the color combination. I paint a large selection of alternate pieces. Many of the works are left unseen. One painting leads to another; in that sense, all the works are attached. The flow of painting reaches its most intense level just before the exhibition. Eventually time always runs out. Painting is about making choices. What in your opinion is the purpose of art and the role of an artist in society today? For me the process of making art is a way of being a part of this world. The pure act of creating is very meaningful to me. The role of art in the society today is complex and multi-staged. The title ‘artist’ is somewhat outdated. Creativeness is all around. We are interested in leaving our mark and raising questions. What I appreciate in art and admire in a great artist is the ability and wisdom to see into the future and to create something timeless. 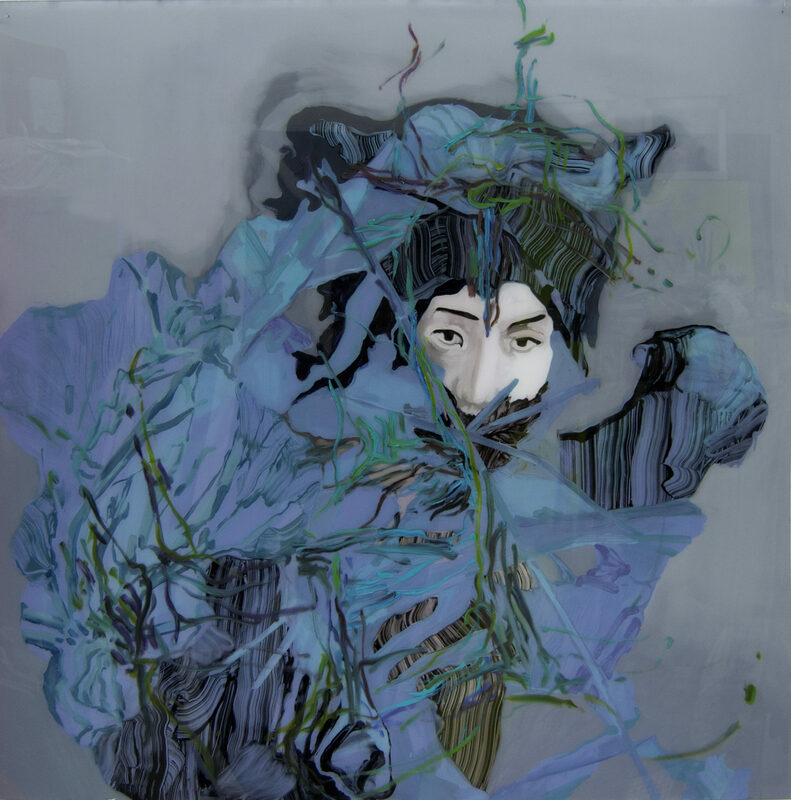 Elina Ruohonen, Väijy, oil on plexiglass, 150 cm x 150 cm, 2016. 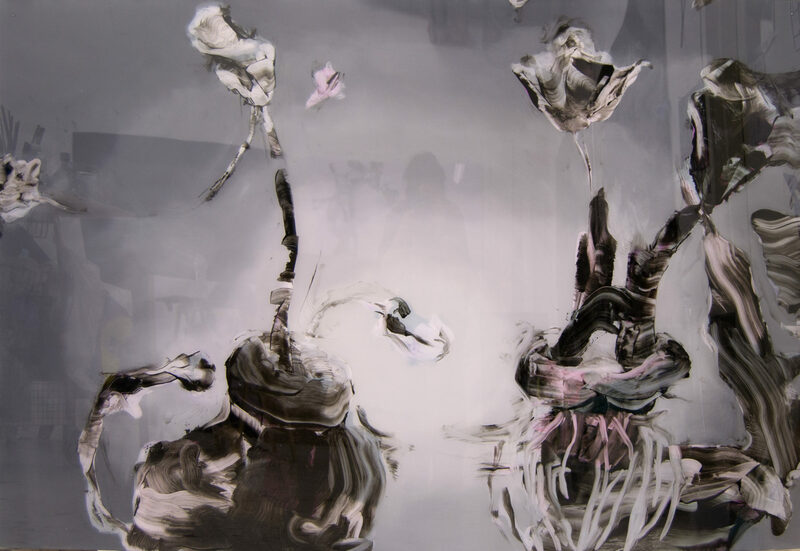 Elina Ruohonen, Balancing My Parachute, oil on plexiglass, 150 cm x 165 cm, 2016, Picture Jussi Tiainen. Can you tell us about the art collective ‘Bargain-Group’ that you are part of? Bargain-Group got started in the early 2000s in Tampere with artists Helinä Hukkataival, Terhi Asumaniemi, Kirsti Tuokko and Sirpa Hirvikoski. The whole purpose of the project is to raise questions about consumer society and criticize the amount of packaging waste residue when manufacturing products. The Bargain-Group organises performance-art acts on the subject and builds art works from recycled material. Styrox Styrox is one of these pieces exhibited at Mänttä Art Festival in 2010. What are you presently inspired by? I’m currently inspired by lines. The shapes of lines when they tangle into each other or the structured lines of a leaf. Or the stripes that waves paint on the rocks by the see. Time spent near nature is as important to me as time spent at my studio. Every morning I go for a long walk with my dog in the woods or by the sea. It gives me great comfort but also reminds me of the state of devastation on this planet. I’m exhibiting two paintings at the Sales event of the Finnish Painters’ Union, which takes place at the Cable Factory in Helsinki 11.3.-19.3.2017. It is the largest art event in Finland, organized every year, in March. Almost 600 painters take part in the Sales Event and about 1500 works are on display. The event focuses on new Finnish painting.